If you have come across live streaming apps like Periscope and Meerkat, you have been probably been amazed how, effectively, anyone can live broadcast anything to anyone. Yes, it’s been possible with Skype, YouTube and other Desktop-first services, but the these mobile only apps are simplifying the process so much, all you need to do is literally fire up the app, click a button and presto, you’re livestreaming your life to the world. The big concern and why that “anyone” above needs to be clarified is that video is data heavy. It’s really not practical to say anyone can broadcast. Better maybe just ‘significantly more people than before, can’. 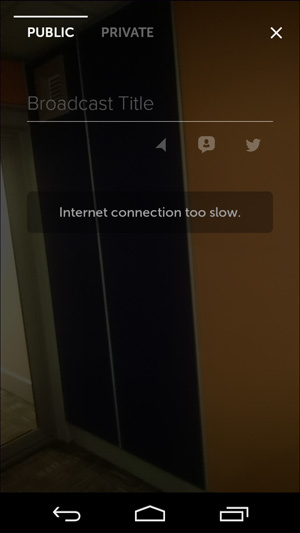 But even if 3G could handle Periscope, this is video and expect for it gobble your data down chop chop. These kind of apps are not for us paying US 15 cents per MB. Some users using the apps have reported consumption of about 23MBs per 5 minutes of streaming. That’s about $3.45 if you’re using Econet out of bundle. Or, $41.4 an hour! WiFi is starting to be an “every operator rushing in” affair though and we wondered if having WiFi at every corner in the city means you can broadcast anything from anywhere. Fibre to the Home is also become more and more accessible to more people as competition ensures prices keep coming down so at least we can broadcast from home, and indeed from work! Live streams from our fibre connection at work was seamless. 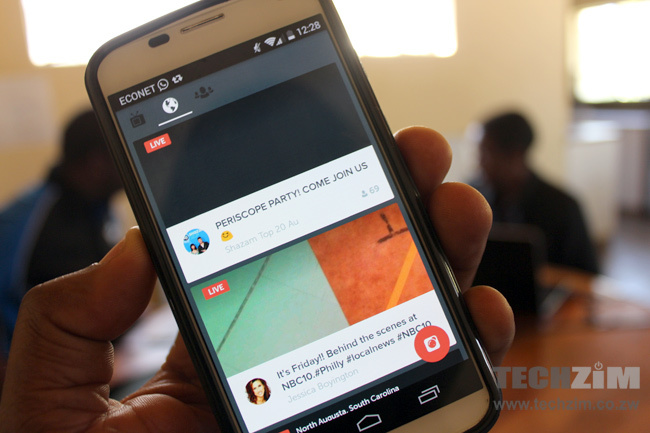 @techzim is the Periscope account by the way. We managed to broadcast our weekly podcast session and other things. Have you used Periscope or Meerkat yourself? What’s been your experience? Isn’t it time we did more than mobile and internet banking in Zimbabwe? I used periscope and it is quite impressive. Used over wifi as 3g. Wifi had better results.